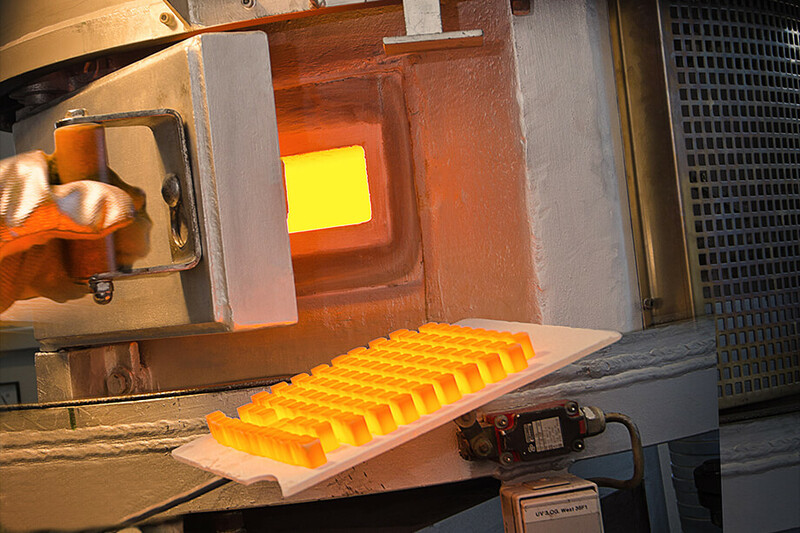 After preheating the VITABLOCS blanks made of fine-structured feldspar ceramic, things get really hot! 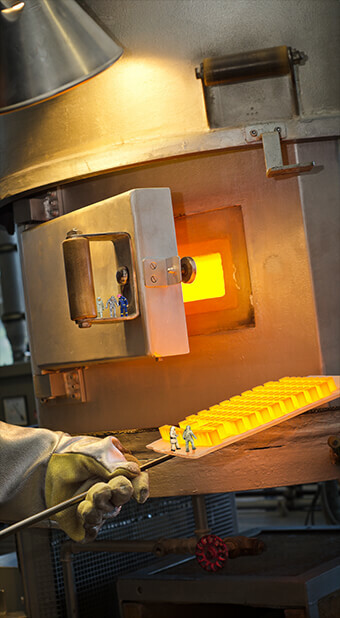 They are then placed in the glowing hot vacuum kiln on the firing tray. 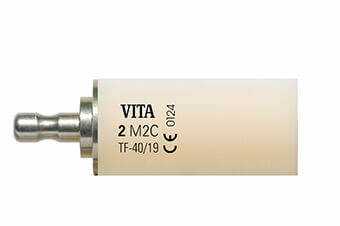 Firing time and temperature run according to instructions. 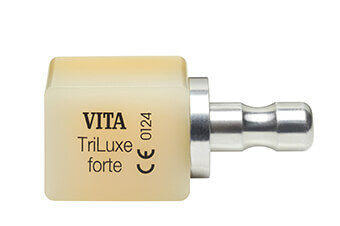 "It takes a lot of experience and a trained eye to see if the VITABLOCS are finished while glowing red." To do this, the gloss of the ceramic surface in this state must be assessed professionally. 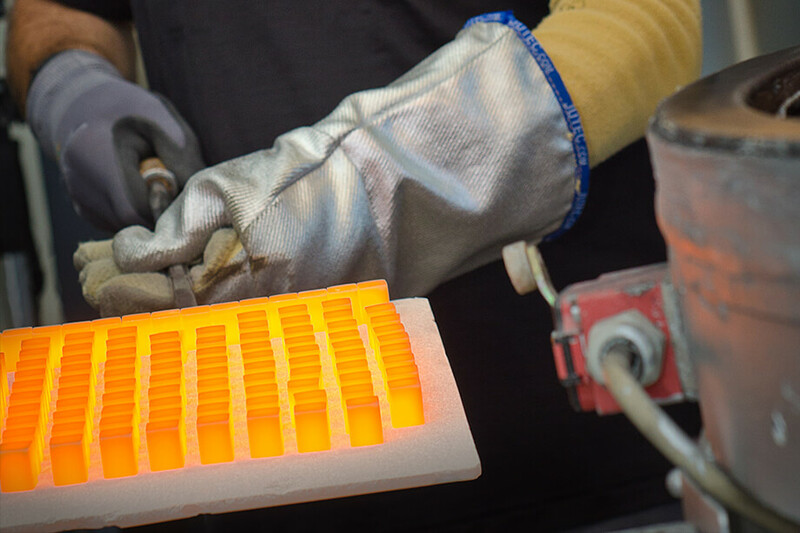 The inspection of the gloss pattern provides information as to whether the blocks are fired precisely. 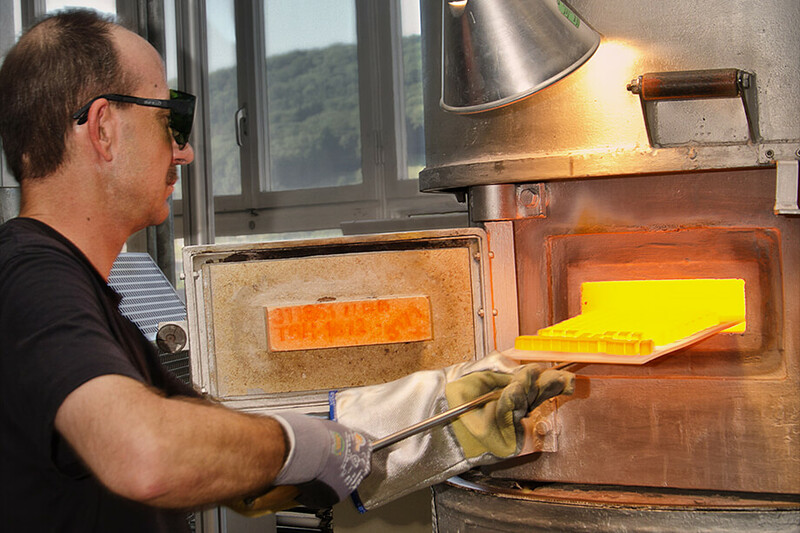 Firing samples for comparison provide additional security for this step. Only by the firing in the vacuum furnace do the final properties of the ceramic dental material of natural feldspar appear. And timing is everything - in order to have the perfect material properties in the final restoration, the blocks must not be over-fired or under-fired. Following the structural change that occurs during firing, VITABLOCS ensures a well-balanced structure of glass, grains and crystals for the right strength, shade and translucency. "The firing trays must be taken out of the oven quickly; otherwise, it will be too hot and the trays will cool down too quickly." A calm, steady hand is required and is not for those who are sensitive to temperature. While it can even be pleasantly warm in the winter when the temperatures are subzero, working with the oven in mid-summer gets hot and sweaty. The gloss pattern shows whether the material has been fired precisely. The firing tray must be guided with a steady hand. 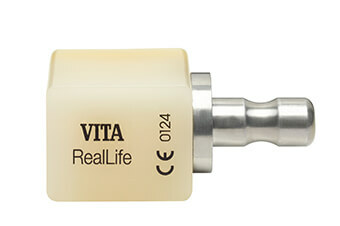 With more than 20 million single tooth restorations, VITABLOCS ceramics have proven their reliability over the last 25 years. 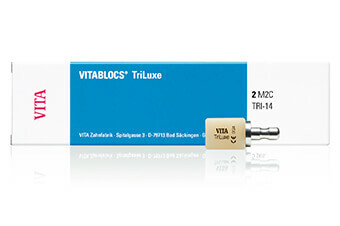 VITABLOCS restorations show exceptional survival rates. Success rates of over 90% correspond to what is considered the gold standard. 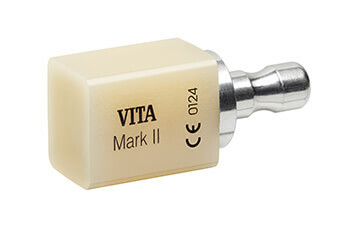 In tests, VITABLOCS ceramics demonstrate abrasion comparable to that of natural enamel.